On a 1957 Dodge D 500. 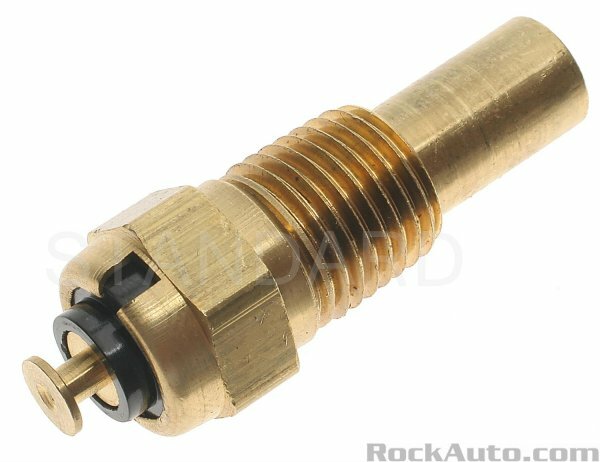 Is it the same electronic temp probe connected to heater hose as a poly? According to the 1955-58 parts manual, the six and V8 temp senders were the same. However, the 55-56 1507 050 temp sender was different than the 57-58 1770 732 temp sender. I know the 56 sender had a stud and nut terminal whereas the 57-58 sender had a slide-on connection.